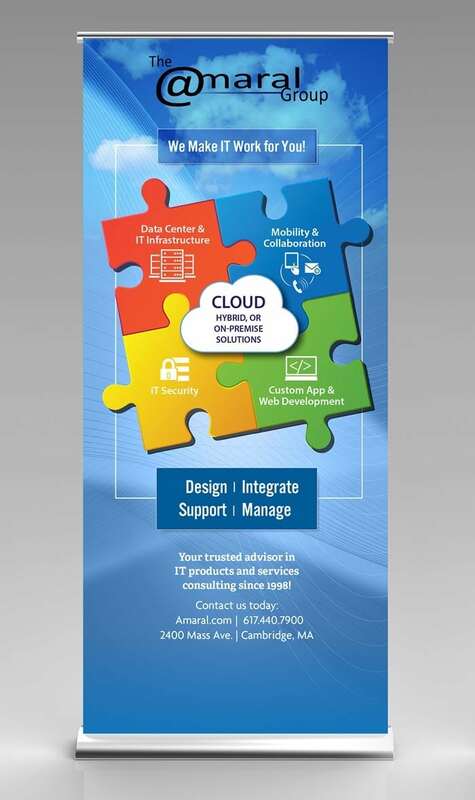 As with all tradeshow banners and displays, the design for the Amaral Group needed to have a strong impact. With literally thousands of vendors in attendance, capturing the eye of a passerby could prove to be challenging. Taking a step back from traditional text-based designs, or image-only designs, our team looked back to “graphic design 101”. Colorful, bright, oversized jigsaw piece graphic that jump out in sharp contrast to the background. Wondering how well it worked? Read our clients’ review of this design here.